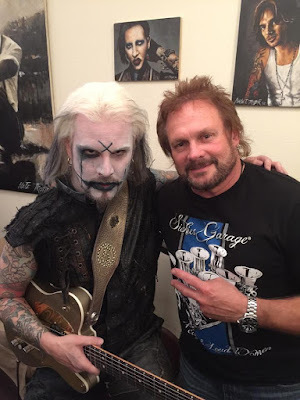 Former Van Halen bassist Michael Anthony joined Rob Zombie guitarist John 5 for a performance of the band’s 1979 classic, “Somebody Get Me A Doctor”, at the Whisky A Go Go in Hollywood on February 11. The guitarist has continued to write material with Roth and, last year, revealed that the pair had recorded a second project in early 2013. Check out the live video in the No. 2 hennemusic story of 2015 on VAN HALEN here.